In the same way as I channeled my mother on mother's day, I am channeling my father on father's day. 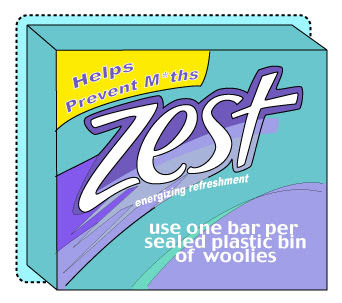 Whether it was the snap top bins, the soapy smell, or some combo of the two, my dad's woolies never, ever suffered from the dreaded m*th. PS: Leave the soap wrapped up, otherwise you get soap flakes all over everything.